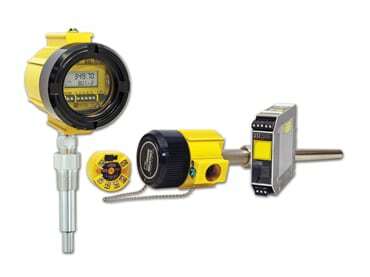 The STZ is a Functional Safety, Dual Input, Smart HART® temperature transmitter that can configure quickly and easily to accept a wide array of sensor and analog devices. These 2-wire transmitters provide an isolated and linear 4-20mA output proportional to the input. The signal is ready for direct interface with HART or non-HART based Safety System, DCS, PLC and other computer0based SCADA systems. Mounting choices include field enclosures, compact connection heads and a high-density, DIN-style housing. 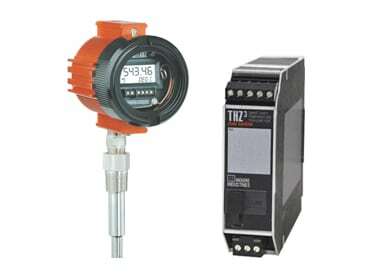 The THZ3 and TDZ3 are dependable and accurate Smart HART® temperature transmitters with dual input sensors that simplify your operations. Their advanced features give you far more control over your temperature measurements. Each sensor is individually selectable and programmable HART or DTM. Mounting choices include field enclosures, compact connection heads and a high-density DIN-style housing. The YTA50 is a head or DIN rail mount temperature transmitter with a single input. The single input accepts thermocouples, RTD, Ohms or a DC millivolt source. All inputs are linearized and converted in to an industrial standard 4 to 20 mA DC output for transmission to your system. 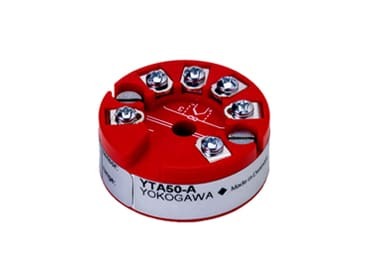 YTA50 is the choice for your monitoring applications. The YTA70 delivers all the benefits found in the YTA50 while adding HART digital protocol communication. The HART protocol allows you to conveniently configue the transmitter using the latest FDT/DTM technology. The YTA70 is the choice for all your control applications. The YTA70P delivers the characteristics of both converters and transmitters. It has a space-saving design that offers low cost installation. The HART 7 protocol allows you to conveniently configure the transmitter using the latest FDT/DTM technology. HART 7 benefits include long tag, enhanced burst mode, and event notification. 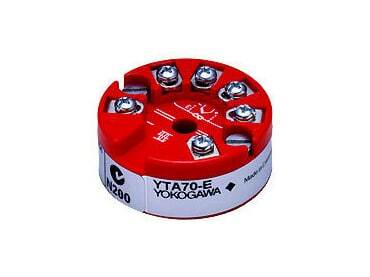 The YTA70P is the choice for rail-mounted control applications. The YTA110/310 is a field-mount temperature transmitter that accepts a single sensor input and YTA320 is a dual input. This input can be from a RTD, thermocouple, ohm, or DC millivolt. These models support either BRAIN or HART 5 digital communication protocol. Dual input functions include Failed Sensor Backup, Temperature Averaging, and Differential Temperature. The YTA320 also adds the availability of FOUNDATION Fieldbus all digital communication.